Each week, we ask five of our sportswriters five questions about Ohio athletics. Their answers may surprise you. This week, we talked to sports editor Alex Hider, contributor Danny Medlock, football writer Zak Kolesar, soccer writer Bez Saciri and soccer writer Corbin Bagford. Ohio recently had it’s 290-minute scoreless streak snapped. When is the next time they’ll allow a goal? Alex Hider: If the Bobcats continue to get stellar play from center backs Gabby Hausfeld and Grace Campbell, it could be a while before we see a ball in the back of Ohio’s net. Danny Medlock: The soccer team has yielded at least one goal in every game but three this season. That means 70 percent of the time they give up a goal. They’ll probably give one up Friday at Miami. Zak Kolesar: I would say they can shut out Miami (OH) on Friday, but they will allow a goal against Ball State two days later. The MAC West leaders will threaten Ohio early on, so don’t expect another lengthy streak. Bez Saciri: During Friday’s contest against rival Miami. The RedHawks may have a below-.500 record, but this is a dangerous squad, which is led by Katy Dolesh and Kayla Zakrzewski. They have a history of performing well in MAC soccer, and Aaron Rodgers and his squad know they must play a great game to get another win in conference play. Corbin Bagford: I predict a shutout against the Redhawks Friday, but Ball State is likely to score against our Bobcats. Football takes on Akron this weekend, who nearly knocked off Michigan on the road. What can we expect from the Zips this weekend? Hider: Akron may have played Michigan close, but they still have not beaten an FBS school this season. Expected Tyler Tettleton and company to find holes in the Zips’ porous secondary. Medlock: I have no clue. I’m in denial regarding a world in which the Pirates are in the playoffs, the government is in shut down and Akron is capable of stealing one from the Bobcat, especially at home. Kolesar: We can expect them to pound running back Jawon Chisholm down Ohio’s throat and air it out long with new big-arm quarterback Kyle Pohl. Chisholm went up the middle all day for over 170 yards on the ground, and Pohl is currently third in the MAC in passing yards, so things could be closer than expected. Saciri: Some Bobcat students are expecting a close game. I am not one of those people. Sure, they probably should have beaten Michigan, but I believe Michigan has underperformed all season. The team barely got by James Madison, and Bowling Green showed why they are considered the MAC East favorites with a comprehensive win over the Zips. Soccer, volleyball, and field hockey all take on Miami this weekend. How will Ohio fair against the RedHawks? Hider: I would have said that the field hockey team would have the toughest time completing their leg of the sweep, but continued problems with Pruitt field have postponed the game until later this month. That makes my job a little easier. The Bobcats will complete the sweep. Medlock: After starting 8-1, Miami volleyball has lost its last five. The RedHawks own the career head-to-head matchup, but haven’t played a ranked team in 13 months. The battle-tested Bobcats will take the “Battle of the Bricks.” I’m taking the easy way out and picking a tie in soccer. Apparently the field hockey game is postponed, not sure what the reason is but the rumor I heard is they need the field for an inter-fraternity polo match. Kolesar: We won’t see a sweep, but volleyball and women’s soccer will both pick up rival victories this weekend. Saciri: I’ll give Ohio volleyball a win, field hockey a loss and soccer a draw. Ohio volleyball has been playing well lately, and I fully expect that to continue. There is something special about this group. Field Hockey has been struggling without a home-field advantage, and Miami did well against the ‘Cats in last season’s meetings. Aaron Rodgers is looking for a response from his team, and I think he’ll get one this week. They might fall behind early, but I’m expecting a goal or two from Maggie Murnane and company. Bagford: Soccer seems to be a matchup of two even teams, but we’ll see if the home field advantage helps out Miami at all. In volleyball, I expect the No. 20 ranked Bobcats to steamroll the RedHawks in three sets. Volleyball is throwing it’s annual “Dig Pink” event for breast cancer awareness. Do real men really wear pink? Medlock: I accidentally bought pink shoes online 3 days ago, so we’re about to find out. Kolesar: Did pink polos hurt the Roc? If no, then yes. Saciri: I suppose they do. I usually don’t see too many men wearing pink. If a man wears pink, he is looking to make a fashion statement. I don’t think every man can pull it off, but kudos to the men that actually wear pink. I would never wear it. Bagford: I’ll let Gatsby answer that one for you, ol’ sport. Thoughts on the Breaking Bad finale? Hider: It will probably go down as one of the most satisfying finales in the history of television. While a little part of me wishes there was the last cliffhanger so we could have a never-ending Breaking Bad debate, Vince Gilligan did his fans a great service by neatly tying everything together. Medlock: Loved it. BUT WHAT HAPPENED TO BROCK?!?! Kolesar: Didn’t get to catch it this week, but man, did anyone see that last episode of Low Winter Sun?! Saciri: I never watched the show. I’m sure it is a great watch considering how many people on Twitter rave about it, but I am not into those kinds of shows. If it doesn’t involve European soccer, the NFL regular season or MLB postseason, it probably will not get too much consideration from me. Bagford: The great thing about the finale is that it didn’t really leave anything to be upset or happy about. It just kinda ended. 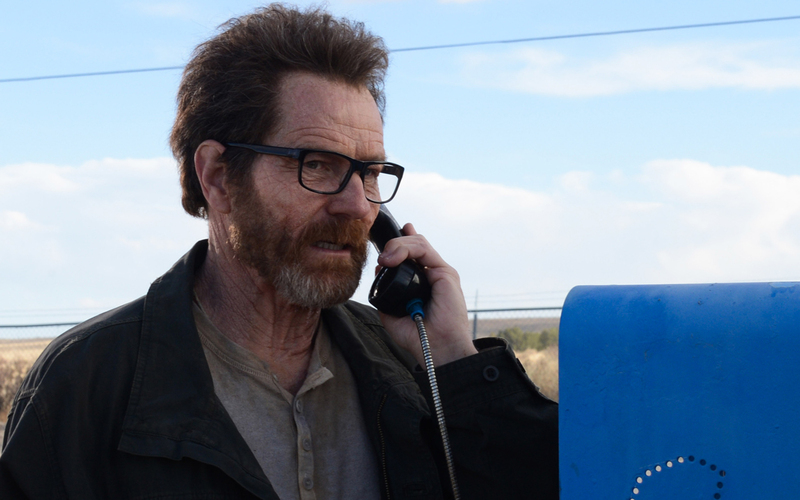 Kudos to Vince Gilligan.